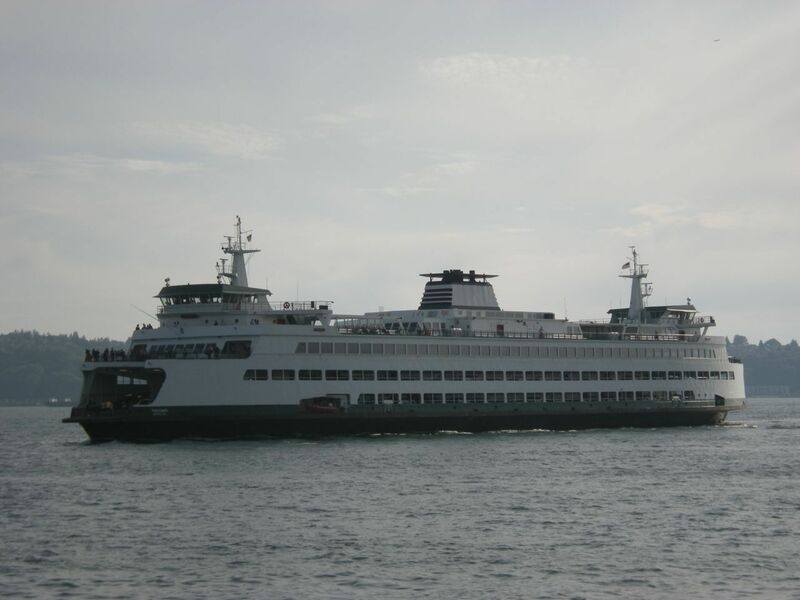 Investigators from Washington State Ferries (WSF) say that its own crew members are to blame for a dangerous collision between a ferry and sailboat in the San Juan Islands on September 13. The Hyak, one of Washington State Ferries' several registered vessels, and a private sailboat named The Taysa were involved in a collision on the water that resulted in the sailboat sinking. The boat's owner, identified as 68-year-old Jack Gray, and his dog were both rescued by another boat. WSF officials released the results of their investigation on November 13 – two months after the initial collision occurred – stating that Captain Patricia Whaley set the ferry to course between Gray’s sailboat and another passing ship under the assumption that there was enough room to pass both vessels safely. The WSF report also added that as the ferry approached Gray’s sailboat, the second mate warned the captain of a possible impending collision. Captain Whaley ordered the second mate to steer the ship to port and sound the whistle. The second mate, who was reportedly still in training and relatively inexperienced on this particular route, mistakenly set the rudder to the starboard instead and did not sound the whistle. The captain then reportedly ordered the engines to be set in reverse at full power in order to avoid a collision. “I knocked the second mate out of the way and went full astern,” Captain Whaley said in a statement to WSF investigators. On November 18, MyNorthwest.com reported that Jack Gray, the 68-year-old man who was on board The Taysa sailboat when it was struck by a ferry in September, has filed a claim with Washington State Ferries (WSF) in hopes of recovering damages he suffered in the collision. The report indicated that Gray has not requested a specific dollar amount in his claim with WSF because he is still recovering from his injuries and that the overall property value of the sailboat has not yet been determined. It may take some time for the two sides to agree upon a specific value for Gray’s sailboat, as it was built in England decades ago and is relatively uncommon. A separate report from the Peninsula Daily News said that the Coast Guard is also conducting a review of the incident, so that could have an impact on how long Gray’s claim takes to be resolved. The complicated nature of boat and ferry accidents makes them incredibly difficult to investigate in some instances, as appears to be the case with this particular incident. A personal injury attorney with experience in investigating and discovering key evidence in boat and ferry collisions can be extremely beneficial when there are complicated factors at play. The fact that Washington State Ferries – as well as the Coast Guard – are providing extensive and thorough reports to both sides could help this matter be resolved more quickly, but it’s always difficult to predict how a personal injury claim against a state agency might progress.